Question: Why does the Reverse Flash keep vibrating? 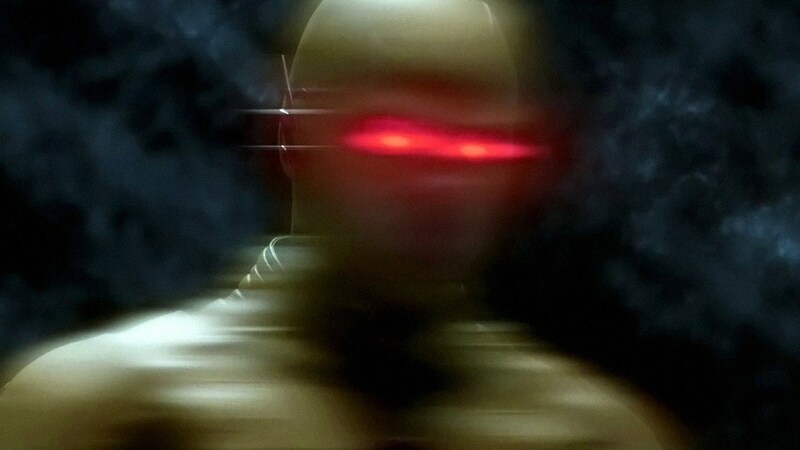 Admittedly, it looks super scary and ominious, but what's the logical reasoning for why Eobard Thawne chooses to vibrate? Note: I'm referring to DC's Flash series. Eobard Thawne chooses to vibrate for exactly the reasons you just said: to look scary and ominous. Additionally, he also does it in order to mask his identity- which Barry himself also does when he talks to Iris in his alter-ego. The red eyes also are just for show, and are there only just to make him look scary. His suit actually has red lights near his eyes in order to create that effect.